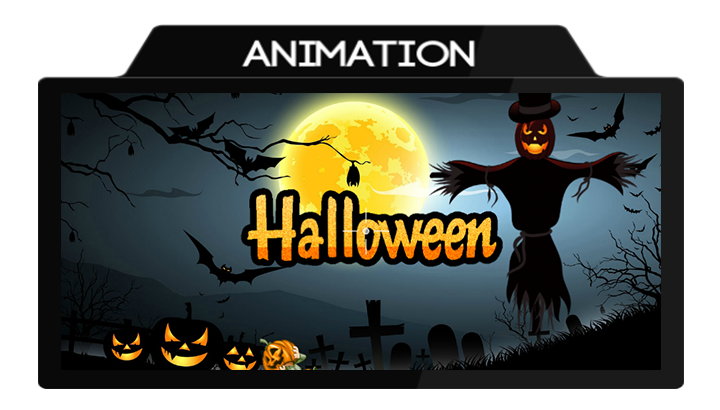 Making an animation movie is very easy now with the use of Animiz, which has an intuitive interface and offers lots of templates for you to use. No time to create an animation movie from scratch? That's why Animiz gives you the option to create project directly from PPT that you can use to build basic contents for your movie. You can choose whether to import all slides of a PPT file. What's more, you have the freedom to reorder the slides. All you need to do is just click, drag and drop. 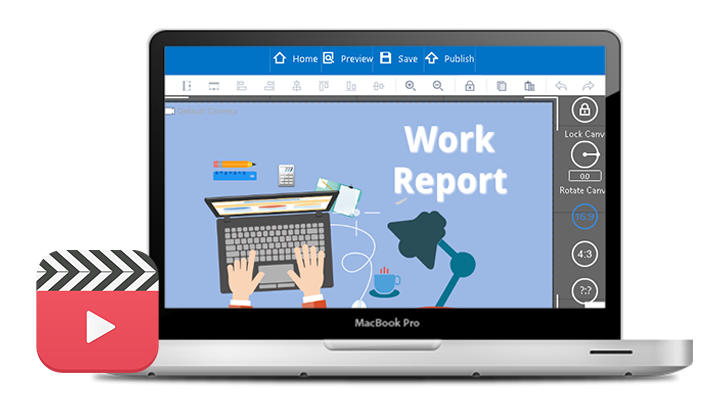 Whether you are going to make a movie for business or education, importing existing PPT is a great way to speed up content creation process. One of Animiz's most powerful features is a huge library of animation effects, which creates stunning visual effects and helps control the pace of your movie. Choose from Animiz's library of animations to apply entrance, exit and emphasis animations to elements in your movie. Not know which animations will work best? Try them out one by one with a click of the mouse. You can also change the duration of these animation effects in timeline. The sound includes voiceover, music and any other audios that can bring life to your movie. Animiz has its own built-in voice recorder. No need to download any other software to record the voiceover. 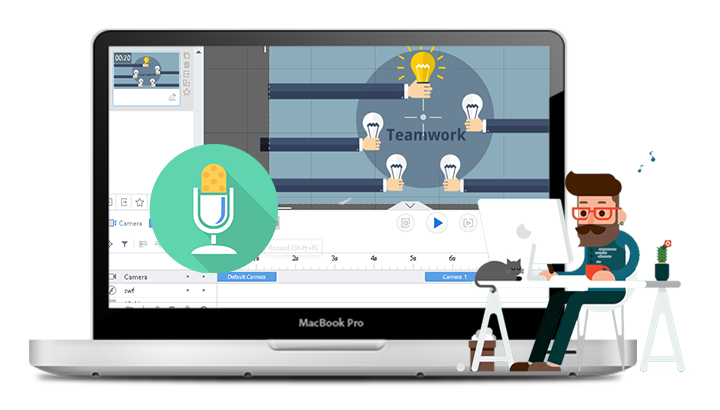 Grab a microphone and start speaking to record a clear voiceover directly in Animiz. It is also a good idea to add background music to reflect and set the mood. If there are speech bubbles in the scene of your animated movie, add some audios to help tell your story. You have know how to make an animation movie in Animiz. It is time to export your project. Publish the project as video file stored on the cloud, if you want Internet users to have an access to your movie. Choose carefully the title and video cover for your video to make it more visible to the search engine. Animiz also gives you the option to publish the project as a local video file. You are able to select the video size, video format and video frame rate to meet your different demands. Import a PPT file and choose the slides you want to include in the movie. Employ animation effect to enhance the appearance of elements. Use the built-in record tool to record the voiceover. Upload a song to act as the background music. Preview the project to in case of any mistakes in your final movie. Export the project as a video file that can be uploaded to cloud directly or saved on your computer.